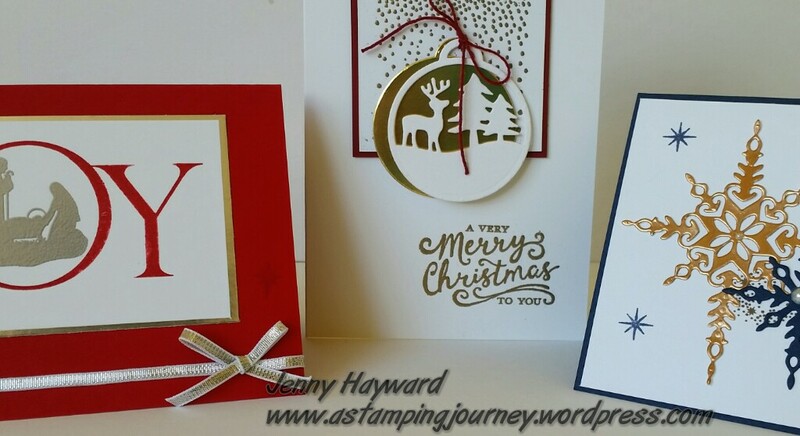 cards, Christmas, Personal Ramblings, Stampin' Up! I hope you all have had a lovely Christmas?? We received some lovely cards over Christmas both store-bought and hand-made. I like both let me say. 🙂 I thought I would show you the hand-made cards as it is all about sharing here. There were some beautiful cards from family and friends. Maybe they will inspire you. Thanks for those of you who have sent us cards. Enjoy the rest of the festive season and the New Year celebrations but please keep safe. AN AUSSIE MERRY CHRISTMAS TO YOU! I just wanted to stop by and wish you all a very Happy Christmas. I hope that it is a time surrounded by all the special people in your lives. It is a time of celebrating the love, joy and peace of the season. I know though that for some this is a very hard time of year. So my love and prayers go out with you. I hope that you do find some love and joy in this season. Thank you for following along in my creative pursuits over this past year. I love that you visit me. I know that I have visitors from all over the world and I thank you for stopping by. I wish you a very Happy Aussie Christmas. I look forward to creating and sharing more with you over the coming year. So to a Happy, Crafty 2017! 3D projects, cards, Catalogues, Christmas, Stampin' Up! CHRISTMAS GIFT BOX WITH HOME SWEET HOME! Not a lot of time left to get everything done for Christmas. If you still need some quick treat boxes and you have the Home Sweet Home Thinlits then I have a very speedy box for you. I cut 2 pieces of the house Framelits shape from the Candy Cane Lane DSP. It was then simply adhered together by folding on the score lines and placing your adhesive on the side tab and the bottom tabs to assemble. I used Fast Fuse for this as it is strong. Punch 2 holes in the top section and then you can thread some Real Red Baker’s Twine to close it. I had a left-over detailed tag in the Merry Tags Framelits cut from Red Glimmer Paper. I could then quickly stamp a ’25’in Real Red from the Merriest Wishes set and I cut that out along with a circle from Early Espresso. These were raised up off the box with Dimensionals. You could easily make a few of these in no time. They might make nice place settings at your Christmas Dinner Table. Some quick cards using the Holly Jolly Layers stamp set (which is a Hostess set from the Holiday Catalogue). I made them a few weeks ago and used one of the versions for a Stamp-A-Stack. I kept the layout the same on both and used different stamps in the set. On both of the cards the base is Real Red. Then a Crumb Cake mat on which I stamped the string of lights down the bottom in Crumb Cake. The piece was then run through the Big Shot with the Softly Falling Embossing Folder. Once adhered to the card base I added a strip of the Candy Cane Lane Designer Series Paper. For the card on the Left: I stamped the greeting in Real Red and cut the piece with the Layering Squares Framelits. A larger square in Chocolate Chip was cut with the next size up square in the Framelits and then a Scallop Square from the Layering Squares was cut from Real Red Glimmer Paper. They were all adhered together and then raised off the base card with Dimensionals. For the card on the Right: I stamped the circle greeting in Real Red and cut this out with a Scallop Framelit from the Layering Circles Framelits. After cleaning the stamp then ink it up with Garden Green BUT BEFORE stamping use your Blender Pen to wipe off the “berries”in the centre of the holly. This is done by wiping off the ink on the stamp and then wiping the tip of the Blender pen on to scrap paper to take off excess ink. It might take a couple of goes. Once it is clean you can use your Real Red Marker to colour in the berries. THEN, you can stamp the image on to Whisper White card and cut it out with (I think) the 1 1/4″ Circle Punch. (Just check the size. It could have been the 1 3/8” Circle punch. It was some time ago that I made it). These pieces were then adhered together with Dimensionals in between and then using Dimensionals to raise it up off the card. Hope all your plans are coming together for Christmas. JOYFUL NATIVITY IN CHERRY COBBLER! I made this card a couple of months ago and can’t believe I haven’t shown you. With all the excitement of the Holiday Catalogue it is easy to forget the great Christmas sets we have in the Annual Catalogue. This card uses the set ‘Joyful Nativity’ which is just lovely. The card base is Cherry Cobbler. I used retired white Paper Doilies on this one as I was waiting on the new ones to arrive at the time. The sentiment is cut with the Project Life Framelits. I thought the small images were just the size for smaller squares. I considered layering them on to some Gold Foil scallop mats but I went for White card in the end. I am sure Gold would look very classy! These squares were cut with the Layering Squares Framelits but wouldn’t they look nice with the Stitched Shapes Framelits? Here is the set if you have missed it. It is on p 35 of the Annual Catalogue and is $30AUS (Photopolymer). Christmas is getting way too close don’t you think?? But hey! I still have 2 weeks to shop and wrap and get Christmas cards written and mailed out and put up the tree… All good! 🙂 In all the frantic busyness let’s not lose sight of the true meaning of Christmas celebrating the birth of this baby that would change the world. Our next class is all shiny – Silver, Gold and Copper! It will be our last class for the year. Let’s celebrate the year by making some special ‘Christmas cards’ with lots of fun and Christmas cheer. Let’s make it “shine”. WHEN: Saturday 3rd December at 2pm. We will make one of each of these “shiny” cards. COST: $25 – $5 discount with own adhesives. This Merry Mice set is so cute don’t you think?? I had fun colouring this little mouse. I Cased this card from my friend Leonie whom I think had Cased it off Pinterest. I stamped the cute mouse on Thick Whisper White cardstock and have coloured some of it with the Aquapainter and inkpads. The smaller areas like the bauble and the leaves and also the ears and stars I used the markers. This piece was matted on Real Red then layered on to strips of the Candy Cane Lane Designer Series Paper. This is a great way of using up some of the scraps of patterned paper. Just a quick one for me today. I thought I would show you these really quick Christmas tags using the Holly, Jolly Greetings set. These were inspired by tags I saw on Pinterest. I think the Whisper White card is cut to 5cm x 12cm (2″ x 4 3/4″) and the top punched with the Scallop Tag Topper Punch. The snowflake is stamped in Crumb Cake with the sentiment stamped in Real Red. There are a number of combinations you could make with these stamps for your sentiments. You can see the set below. I added some small strips of the Candy Cane DSP with some Red Glimmer Paper. This is a great way to use up some of those small scraps you have lying around. I tied around some Real Red Twine and finished them with Rhinestones. It wouldn’t take long to whip up a number of these classy tags to dress up your gifts for Christmas. Here is the set for you to see if you haven’t noticed it. This is in the Annual Catalogue p 34. ($49.00 W $35.00 C). Thanks for visiting today. I hope your day/ night is great. Extravaganza is on. Up to 40% off select products with Flash Sale on Monday 28th with additional items reduced. Go in the draw to win the set Cozy Christmas with a minimum $20 order. See the details HERE. All orders over $55 in November receive the Exclusive limited edition Pop Up Scrap Bin as a Thank You gift from me for your orders. See these cute bins HERE. This is the first card I made. The “swirly” star pattern is heat embossed in Copper. The sentiments and small stars are stamped in Cherry Cobbler. I cut one of the larger stars in Dazzling Diamonds Glimmer Paper and the smaller one is cut from Copper Foil sheet with the matching Starlight Thinlits. A pearl is added for some glam. This is quite a simple card really but makes and impact I think. For the next card the layout is based on the Freshly Made Sketches #217. The base card is Real Red and the paper is from the Candy Cane Lane DSP pack. I heat embossed the “dots’ in gold on white card. There are so many star shapes in this Thinlits pack to give you so many options. (You can see them down below). I cut a large one in Real Red and the more detailed on in Gold Foil. Before I added it to the card front I looped around some Gold thread. Here is the set and the Thinlits if you haven’t noticed them yet. What combinations can you make?? Can you see the sentiments in the set too? They are really lovely. With these gorgeous sentiments and the varying shaped Thinlits, it doesn’t take much to make quick fancy cards with them. They are available for $84.50 as a bundle in my store HERE. So why not go and grab them. Don’t forget with a minimum order of $55 you will receive the limited edition Pop Up Scrap Bin for Free from me as a Thank you!